Following an epic layover in London, a quick ride on the Eurostar train from London to Paris and an okay-but-snug flight on Vietnam Airlines’ A350, I finally reached Hanoi, the first stop on my first trip to Vietnam. I managed to sleep for most of the 11-hour and 20-minute flight, so I was able to start exploring the city as soon as I got there. Watch the latest episode of TPGtv below to see my first impressions of this incredible city, the legendary hotel I stayed in and how Hanoi’s hottest DJ took us on a tour of the local nightlife scene. Since this was my first trip to Vietnam, my friends recommended that I go to the Sofitel Legend Metropole Hanoi, the same hotel Jane Fonda had stayed in during her infamous trip to Northern Vietnam back in 1972. Rates start at about $312 per night in June for a room in the historic wing of the hotel, where I stayed. Sofitel is part of the Le Club AccorHotels loyalty program, along with Novotel, Mercure, Ibis and Pullman Hotels and Resorts, among several other AccorHotels brands. As a Le Club AccorHotels member, I had access to Club Metropole, a lounge area that served breakfast, lunch and dinner, so it was easy to grab food on the go if I needed to. 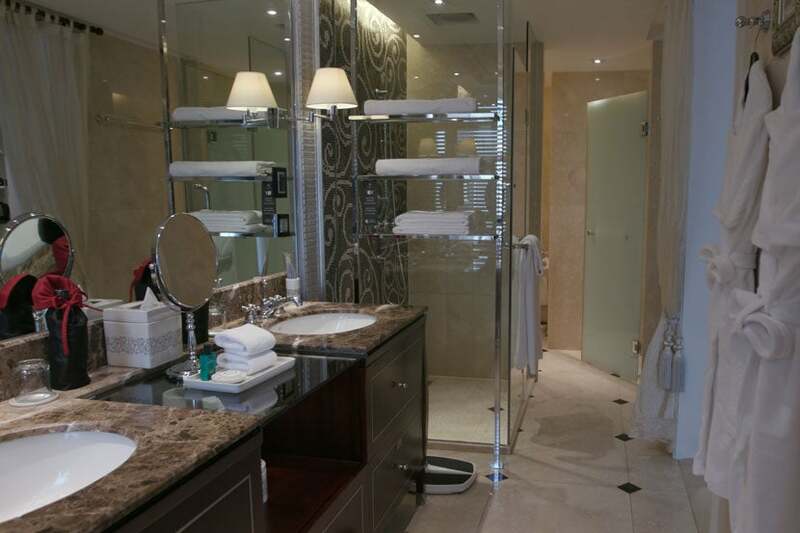 My bathroom at the Sofitel Legend Metropole Hanoi. The Le Club AccorHotels loyalty program lets you earn about a 5% return on spending at a value of 2.17 points per dollar — you can also redeem 2,000 points to get 40 euros (~$50) off the price of a future stay. While this isn’t a bad deal, I did find a better one by booking my stay through Hotels.com, which offers about a 10% return on spending. I paid $566 per night for my three-night stay and used my Chase Sapphire Preferred Card so I’d get 2x points for booking travel, earning a total of 3,396 Chase Ultimate Rewards points for the purchase. Note that other cards like the Citi Premier Card and Citi Prestige give you 3x points on hotel bookings, so those are good options to book with as well. 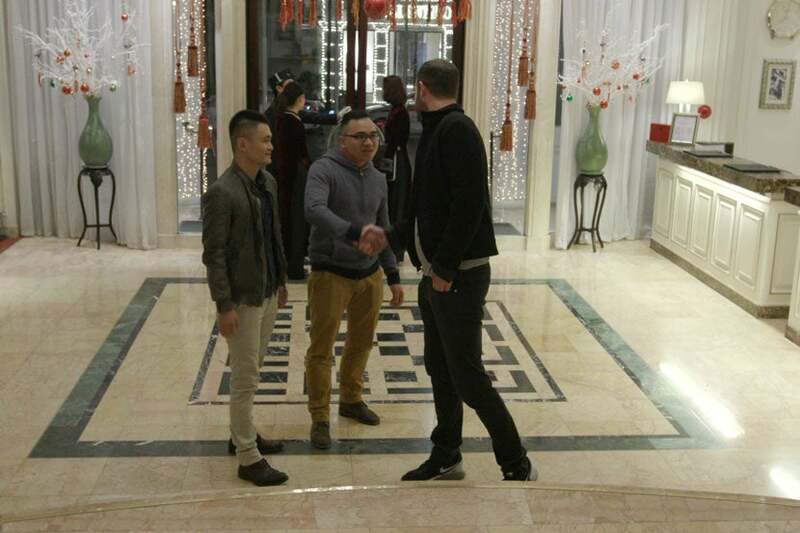 Meeting DJ Hùng Anh (pictured, left) and his friend, our guides to the city’s best nightlife. After a day of sightseeing, it was time to check out the local nightlife. Our guides hooked us up with DJ Hùng Anh, one of Hanoi’s top DJs, and we headed out for the night. Our first stop was the Hangover Bar, which was pretty cool. When I asked what other places we’d visit that night, my new friends started chanting “Temple! Temple! Temple!” and I knew we had to go there next. As we kept going, our group got bigger and bigger — and the people we met all seemed friendly. We ended our big night out at Ultra, pictured below. 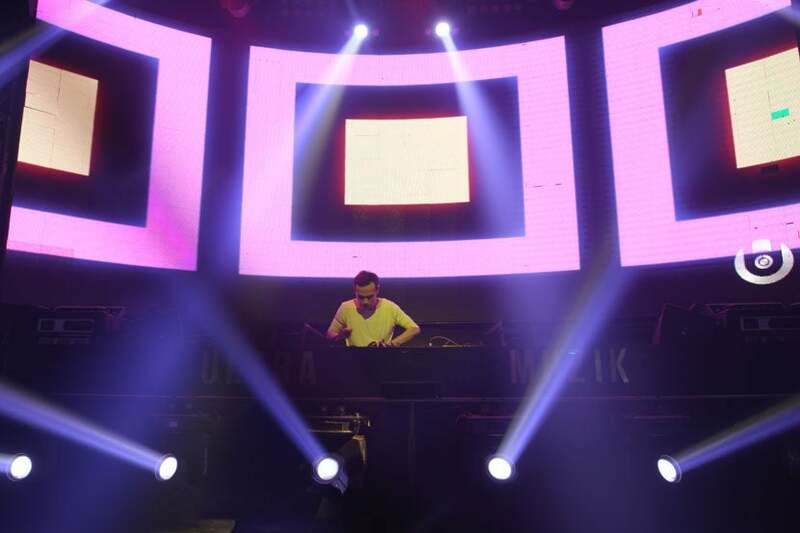 The nightlife scene in Hanoi is amazing; here’s a DJ spinning at the club Ultra. Stay tuned to for our next episode of TPGtv, where I discover a Vietnamese dish so delicious I learn how to cook it myself. Can’t wait to see what I’m working on next? Follow along with all my travel adventures on Facebook, Twitter, Instagram and Snapchat for a behind-the-scenes look at what’s coming up on TPGtv, and don’t forget to subscribe to The Points Guy on YouTube — you’ll be notified as soon as each new episode appears.